I’ve been ‘in the market’ for a nice bit of print recently – as both a consumer and a creator. I’m getting more briefs for copy for print items this year than in the previous three years combined. I’ve also recently bought a new car, and a new car brochure is almost as good to touch and feel as the car itself – almost! Buying a car is a major purchase so I took my time and enjoyed the process. Yes, I did a lot of looking online and requesting brochures straight into my inbox. I love the immediacy of it, but I love the feel of flicking through a brochure (and if I’m really honest, I love the smell of a freshly printed piece of gloss!) even more. Even if what you’re selling or promoting isn’t such a major outlay as a car, then still have a think about the ‘peruse-ability’ of your marketing material – on and offline. Some of the work I’ve been doing for my client has been to support a field sales team, targeting a very specific audience in the retail and healthcare sector. The people they want to reach are busy people who are dealing with customers and running a business all day so anytime spent with a salesperson is limited and valuable. A presentation on an iPad or an email with a link to visit to find out more just won’t cut through the clutter and cacophony they experience day-to-day. They get a limited amount of time to talk face-to-face and then have to leave something behind that sums up their offer and invite them to find out more. Printed leaflets and brochures are the way to do this. I can’t see this changing in the next five years, at least. 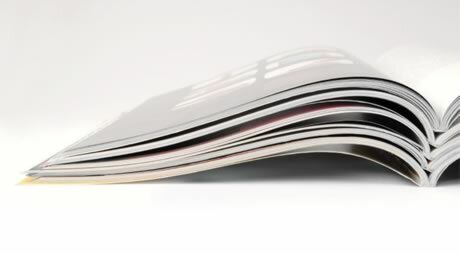 A printed item just feels as though it’s designed to be around for a bit longer than an email or a web page, doesn’t it? Quality and cost are paramount, which is why I only work with the best in the business, and some of my recent partners have included Duran Creative and File Click Print. The environment is top of my list as well, which is why I’ll always recommended recycled and recyclable stock. I hope you’ve found this useful. Please do post below if you’ve got any comments or questions. And if you’d like to talk more about how I can help you with your words, and produce printed items that really work for you, please drop me a line.